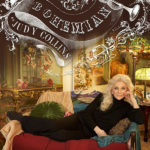 Judy Collins, one of the most influential folk singers of the sixties, and the voice that has been called the voice of the century, still believes that music can heal the world. Interview by Patricia Harty. It all began with a song. 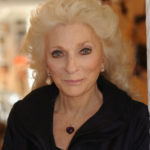 As a young 14-year-old, Judy Collins heard “The Gypsy Rover” on the radio and it changed the course of her life. She was studying classical piano and had already made her orchestral debut, but the ballad, a tale of a girl who runs off with a dashing stranger, won her heart. 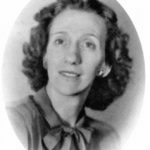 She persuaded her father to get her a guitar, broke her piano teacher’s heart, and began the musical journey that would take her out of Colorado and put her on the road to being recognized of one of the greatest singers of our time. 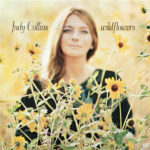 Collins made her first album in 1961, at age 22, won a Grammy Award in 1968 for “Both Sides Now,” made the cover of Life in 1969, and today, more than 40 albums later, at least six of them Gold, she is still recording and playing concerts – up to 100 a year. Collins has lived in the same New York City upper west side apartment for over 40 years. She shares the space with her husband, Louis Nelson, the artist known for the Korean War memorial in Washington, D.C., whom she met in 1978, and their three cats, Coco (black and white), Tom Wolfe (white), and Rachmaninoff (gray). The apartment reflects the artistic nature of the occupants: a grand piano in the living room, walls filled with art work, including paintings by Judy’s sister Holly, family photos, Tiffany lamps, Buddhas and other artifacts, and a recording studio. For a number of years now, Collins had been recording her own albums, and a handful of other artists. Collins is physically lithe and carries herself with the grace of a dancer. She is unhurried, though she’s packing a full schedule. Her body, toned from daily exercise, and her clear skin belie the illnesses of her youth – polio when she was 10, TB in her early 20s, hepatitis and mono, spinal and leg injuries from a fall, and later struggles with an eating disorder, and addictions to alcohol and cigarettes. Born in Seattle on May 1, 1939, Collins moved with her family to Los Angles at age 10 and shortly thereafter settled in Denver, where her father Charlie Collins hosted a radio show. Blind since the age of 3, Charlie had grown up on a farm in Idaho and had learned to maneuver the world without a cane. Educated at a school for the blind, he was well versed in literature, world affairs, and music, and the five Collins children, three girls and two boys, were brought up knowing that much was expected of them. At 19, Judy married Peter Taylor and soon gave birth to their son, Clark. To support the family while her husband was in college, Collins sang in bars around Denver. 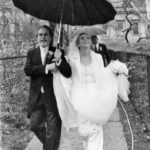 After his graduation, the young couple moved East, where Peter taught English literature at the University of Connecticut, and Judy became popular on the college radio station. But the folk scene was taking off in Greenwich Village in New York City, and this is where Judy was drawn, as were other artists of the day. Judy would meet them all, and record many of their songs – Bob Dylan (while they were guests at Albert Grossman’s house she listened outside Dylan’s bedroom door as he composed “Tambourine Man”), Leonard Cohen (who challenged her to write her own songs), and Joni Mitchell whose song “Both Sides Now” proved a breakthrough hit for Collins, earning her a Grammy Award in 1968. As her career was taking off, Collins’ marriage was breaking down. While she was plying her trade and learning her craft she was missing out on her son’s early life. And in the spring of 1962, she met Walter Raim, a guitar player who would be the catalyst for the breakup of her marriage. 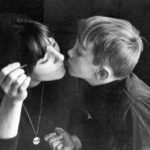 The affair didn’t last but the ramifications did – divorce and a custody battle for her son, which she lost. It would be several years before she would have custody of Clark again. Throughout her life, no matter what was happening to her personally, Collins was, and is, a committed social activist. In the 60s and 70s she supported civil rights, and women’s rights, and she traveled South to register black voters. She was in on the founding of the Yippie movement and testified in support of the Chicago Seven during their trial, angering the judge when she sang “Where Have All the Flowers Gone?” on the witness stand. With the 1966 album In My Life, Collins moved away from straightforward folk music, and has remained untethered to one genre of music. She has a knack of finding a good song and breathing life into it. Her 1968 recording of “Amazing Grace” brought the 18th-century hymn back into the present day (it was top of the charts both in the U.K. and U.S.), and it has remained part of our cultural consciousness. Stephen Sondheim’s “Send In the Clowns” was also a huge hit. She appeared with the Boston Pops Orchestra and on the Muppet Show, and made many appearances on Sesame Street. She even took a turn on the New York stage, appearing with Stacy Keach (whom she lived with for a time) in the 1969 revival of Peer Gynt. Today, Collins continues to pursue her creative passions. She created her own label, Wildflower Records, in 2000 to record her own music and support the work of other artists. She writes songs and books and continues to perform. When we met at her apartment in late April, she had recently had a guest spot on the TV series Girls (she said it gave her street cred with her nieces and nephews) and was preparing for a June 8 concert at the Town Hall, New York. She was also planning a trip to the U.K. and Ireland, where she will record a concert for PBS, and where she will be inducted into the Irish America Hall of Fame in New Ross on June 21. Was music part of your childhood? Music was very much a part of my childhood. I listened to all Rodgers and Hart and Great American Songbook [recordings] because my father played them on air. He was also a musician and sang. I played Bach and Beethoven and Debussy and Mozart, and I sang the opera arias, but I also listened to pop music – the stuff that was on the radio – “Earth Angel” and so on, when I was in high school. So I was exposed to a lot of different kinds of music before I started singing folk music. Was your father disappointed when you gave up classical piano? Well, he only rented the guitar that he got me so maybe he was optimistically hopeful that it wouldn’t last, but he loved the folk songs and Irish songs. He was very musical, very dramatic, very handsome, articulate, well read – he read everything in Braille We loved to brag that our father could read in the dark. We were raised on great literature and great music and we had a very liberal education. He was also very radical in his politics. We wouldn’t call it radical now, he was actually a humanist and a FDR Democrat and very outspoken on the radio. He’d talk about anything and everything. He read Dylan Thomas. He’d read Emerson, and he’d sing, and then he’d talk about Joe McCarthy and he’d talk about the war in Vietnam. Not in appreciative ways, either one. And he was really a very, very interesting man altogether. He also drank a lot. I got that Irish bug from him certainly. Do you know from whence the Collins hail? My Irish relatives came into Virginia probably around 1886, I don’t know for sure – they didn’t keep records. Now, the English side who came in through Canada are unbelievably well-documented, but the Collinses didn’t keep records. But I’m sure that’s where the music comes from. We celebrate the Irish all the time in our family. My father loved Irish music and used to sing “Danny Boy” and the “Kerry Dances,” which I will sing on my PBS special from Ireland. It [“Kerry Dances”] has a special place in the family. My nephews and nieces sing it, and my granddaughter. How well did you know the Clancy Brothers and Tommy Makem? Later I stayed in touch with Tommy Makem and recorded a television show with him before he died. You had a big hit with Leonard Cohen’s song “Suzanne.” Can you tell me about your relationship? I saw him the other night and he said, “I owe you so much” and I said, “No, the debt is mine” because if he’d never asked me why I wasn’t writing songs, I never would have. And didn’t you push him to perform his own work? Yes. I confess. I did get him to perform. Back then he’d always said, “I can’t sing. I can’t play the guitar. I can’t perform these songs in public.” But I knew he had a mesmerizing voice. So, I was doing a benefit for WBAI, the radio station, and I said, “Why don’t you come down and sing ‘Suzanne,’ it will drive the crowd crazy. My recording of the song was up on the charts for 38 weeks at the time. And he said, “No, I can’t do it,” and I said, “Come on. It’ll be fun.” I forced him to do it. He walked out on the stage and started to sing – it was a big audience, about two thousand people – then he stopped in the middle and walked off. He said, “I can’t go on.” and I said, “You have to go on. I’ll go up and sing it with you, but you do not leave the stage and not go back on. It’s really bad.” So he went back on stage and we finished singing “Suzanne” together and the audience went crazy. You also had a hit with Joni Mitchell’s “Both Sides Now” before Joni was well known. Can you tell me about artists’ rights and royalties: How does it work? Joni would get her standard [writer’s] royalty and I would get my performer’s payment if the record was selling in the stores. However – and this is a big ball of contention, something that’s been going on for 90 or a hundred years – no performer gets paid for radio play. People began to think, in some parts of their ill-educated brain, that the radio stations were doing us a favor by playing our music. When I went to Washington the first time to protest piracy, someone asked, “How do you feel about performer royalties?” The question went straight over my head. I said, “I don’t really know what you’re talking about.” He said, “Well, you’re not getting paid for your radio play.” So then, of course, the dawn begins to break. This is almost the only country in the free world where that’s true. Nearly everywhere else, an artist gets paid for their performance whether they wrote the song or not. Do you miss the way recordings were made – the sound of the needle on vinyl? No, not at all. When I first started recording music at home we had a wired tape recorder and these bundles of wire that would get stuck and you couldn’t align. It’s strange how everything has changed, but I don’t miss any of it. I have my own studio here in the house, which I’ve had since 1994, and I’ve done a lot of albums here, but I can also go and record a concert at the Metropolitan Museum and have it be transferred as is, without any other work on my part. So, the sound that we get in theaters and in concerts is excellent and the equipment keeps getting better. How do you keep your voice in such good shape? I studied for years with a great teacher – 32 years. I went to him in 1965, I was desperate because I was losing my voice and a guitar player for Harry Belafonte, a guy named Ray Boguslav said, “You must go and see Max Margulis immediately.” And I did, and I persuaded him to take me on as a student. He was very eccentric. He had very few students. Did his method involve vocal exercises? His philosophy was that there was one voice: singer, speaker – it was all one instrument and you could either wreck it or you could use it until you fell over. And it seems like you are going to keep going until you fall over. What drives you to keep performing? It’s very compelling what I do. I think I have a compelling life. I write books, I write songs, I record, I make CDs. I travel. I tour. I think it’s important to keep working. I would never retire. Never, ever. Unless I am pushed off the stage or a cliff, I don’t think I will be retiring. I never suffer performance anxiety. Because you do yoga and meditate? I meditate for its own sake. And I do something called ‘self-realization.’ It involves a set of yoga practices and a set of breathing situations in which there’s a mantra and a lot of prayers and so on. It takes about a half hour and I try to do it twice a day, wherever I am. You don’t have to have special shoes for it. You don’t have to be in a special place to do it. You just do it – if you’re in the plane, if you’re in the car, if you’re sitting doing your make-up. It’s very portable. Yes. I had an eating disorder for years. It really kicked in when I gave up smoking. I was always on diets. Everything was very extreme and I never gained a lot of weight because I was always exercising. I discovered exercise very early on, and for me, that’s the big secret. It’s endorphins. If I’m exercising every day, I’m fine. I really am. If I’m not, I’m in trouble, but I learned that very early on, even in the dark days of my drinking. It’s probably what kept me alive. Do you think there’s a genetic component to alcoholism and depression? There’s definitely a genetic component and it has to do with things that run in families – depression, chemical imbalance. As I said, I inherited the “Irish bug” from my father, who liked to drink. Although I looked good on paper – I had hit records, and concerts all over the world, I couldn’t work most of 1977. My life was a total shambles. I couldn’t sing. I had lost my voice. I am quite sure it was the booze. I had a hemangioma on my vocal cord. My doctor said, “If you do this [operation] you have a chance but if you don’t do it, you have no chance and you’ll never sing again.” That was my choice and I had the operation and it worked. Then I stopped drinking. I finally went into treatment and got the help that I needed in 1978. Wasn’t it around this time that you met your husband, Louis Nelson? We had met four days before I went into treatment and in fact, the day that we met is the day that’s on the wedding rings that we both wear. I talked to him a lot on the phone when I was in treatment and then I came back and we had our first date in July. So, I was actually nearly three months sober by then. It just seemed to be the right fit. We’ve been together ever since. Not bad for a hippie. How did you get through that dark period following your son’s suicide? People reached out to me and I had a support system and people that I could call, and when I went on the road my family came out with me. My mother came and traveled with me, and my sister Holly. I got through it with a lot of help, and when I started to feel a little stronger, I realized that I had to do some kind of active participation in suicide prevention. So I got involved here in New York, but then I found out that [the meetings] were run by the drug companies, and financed by the drug companies, so I backed off of that and instead I have done some speaking out on the issue. I was invited to speak in Belfast on radio about this, and so many people called in. It’s a terrible problem. I was even brought up to Harvard to talk to their medical community about it. I talk about it maybe four or five times a year. I do either a fundraiser or a dinner or something for suicide prevention and I speak to groups in hospital environments and in educational and mental health environments. There was no way for me to deal with it unless I talked about it. I had to go to lots of survivor group meetings and I had to think about who was doing what about it. The taboo about suicide is huge. It’s something that the church used to punish people for by not allowing suicides to be buried in hallowed grounds. As the 50th anniversary of JFK’s death nears, what are your memories? I had just sung for him in the spring, a few months before his death. I was on my way to Washington, D.C. to visit my friend, the photographer Rowland Scherman. I got off the bus at La Guardia and I heard that President Kennedy had been shot, and when the plane landed in Washington, I found out that he was dead. I couldn’t imagine that someone with the force of his personality and charisma could be gone. And five years later, in 1968, Rowland was on the Robert Kennedy team during the run up to the election. He’d gotten closer to the Kennedy family and they liked his work a lot, and he was in that group when RFK was shot at the Ambassador Hotel. Three days later Life sent him to take pictures of me. Isn’t that strange? I’d forgotten about it, until this morning when I was writing an introduction to a book of Rowland’s photos. We did take pictures and made great music and that was the only thing to do. It was such a tragedy. We thought about it and said, “Let’s go ahead with the sessions” because what else would we do? Well, art and music are the only thing we’ve got. They have always been the only thing we’ve got, because we always have problems. We always have murder. We always have greed. We always have people who are nuts and there’s always something awful happening somewhere. So, you have to have art. Every culture in the world has realized that art is the thing, that art is primary. I did a concert at the Metropolitan Museum, and one day I was having lunch with Emily Rafferty, the museum president. We were talking about the power of art and how people need it – no matter who you are and where you are – to deal with just being on the planet. Emily said that the day after 9/11, [Mayor] Giuliani, in one of his more intelligent and gracious moments, called her and said, “You must open the museum.” She said, “How can I – there are no phones, everything is down.” Somehow, through word of mouth, and running around town and finding the staff, they opened. She said thousands of people just streamed into the museum in the following days because in the museum, they could see that people had lived through horrors before and survived. It was a touching thing. Can you talk about “Kingdom Come,” your own anthem to 9/11, and how it came about? In the aftermath of 9/11, Louis and I were invited to one of those parties with all the firefighters – it was a big effort of trying to give them something that was pleasant, a musical evening. Kevin Bacon was there, as were other artists. One of the firefighters said to me, “See this tattoo behind my ear here and on my neck?” It said “343,” the number of firemen that died on 9/11. I think artists will continue to write about it, and think about it a lot, and since this new terrorist attack in Boston, which is what it was, I think there’s a renewed feeling of what a new and terrible world it is in a lot of ways. There were so many protests in the 60s and 70s. Do you think today’s young people are apathetic? I don’t think they’re apathetic but I do think that they need leadership. I think they can be galvanized by issues. They certainly are active in a lot of ways. I had a conversation with Pete Seeger around his birthday and I said, “How are you feeling about the world?” And he said, “You know, I have never been so optimistic.” He said, “Think about all the things that people are doing all over this country and all over the world that are positive. Little groups here and there, but they are everywhere and they are all working on something. They’re doing victory gardens to try to get Monsanto down off the perch, or they’re trying to figure out how we get the immigration bill passed. I mean, I think the country is being utterly ignored by the Congress – I think it’s so disgusting that they couldn’t pass something on gun control. It’s very depressing, but something will turn around and change. It’s got to. Oh, gosh. So much – everybody from Adele to Shawn Colvin, Amy Speace to the Irish Rovers. I have all kinds of things and I’ve just been listening to a lot of a singer/songwriter whose name is Hugh Prestwood. I recorded six of his songs on different albums: He was big in the 80s and I rediscovered him. He sent me a whole bunch of new material and I’m just absolutely crazy about it. I’m going to put him on my label. It always changes. Right now, the most important one to me is one I wrote about my mother, called “In the Twilight,” which is on my last album. She passed away at 94, in December 2010. She was quite a lady. She had a kind of, I want to say stillness and ability to go through what was demanded of her that was really quite remarkable, and she was a great cook and a great housekeeper and she had a great sense of humor. She was – we called her the original party girl. I think of her putting on her Chanel perfume and her pretty clothes and she was off to the races. She’d dance all night. Oh, that’s interesting. Do I? I certainly believe in God. I certainly believe in other realms of experience, by all means, and there was the discussion we were having the other day about psychics and the things that happen to us in meditation. How could you not be a believer in something other than what’s going on here? It’s pretty pathetic if this is it. Our hearts weep for Boston. This most Irish of American cities has seen its share of tragedy, but when the bombings at the marathon turned a sporting celebration into a scene of destruction, it was a fresh horror that is hard to process. This city, where at least a quarter of the population are of Irish heritage, is one of the cornerstones of our history in America. When the news of the blasts hit, all that history came flooding back. Knowing the measure of the city’s hardscrabble past gave reassurance that Bostonians would rise above this tragedy, because that’s what they have always done. It was to Boston that thousands of Irish at the edge of desperation would find their way during the Famine years. They crowded into the waterfront close to the docks where the men might find a day’s work and the women might find jobs as domestics. The unsanitary conditions were breeding grounds for disease. *Sixty percent of children did not reach their sixth birthday, and on average, the adult Irish immigrant lived just six years after arrival. (Patrick Kennedy, great-grandfather of JFK, was one of those adults who did not survive. He died of cholera, which had earlier taken his first-born son, John III, at just 18 months.) And still they clung on, and enough survived and eventually thrived. “Out of those narrow lanes, blind courts, dirty streets, damp cellars, and suffocating garrets will come forth some of the the noblest sons of our country, whom she will delight to own and honor,” wrote Orestes Brownson in the Quarterly Review in 1843. And indeed, the people of Boston inspired the nation as we witnessed ordinary citizens turn into heroes, and the emergency services and police operating at their highest levels. In the days following the bombings the community rallied to help families affected by the tragedy. A “Dance Out for Jane” was held for the Richard family of Dorchester. Eight-year-old Martin Richard was killed in the blast. Jane, his seven-year-old sister, lost her leg, and their mother, Denise, suffered a head injury. Jane was an Irish step dancer at the Clifton Academy of Irish Dance in Milton. When tragedy strikes, it is often to the artists that we turn to raise our spirits and funds. Two New Yorkers, David Fagin and Jaime Hazan, wrote a song called “Boston Strong” that got a lot of play on YouTube. Hazan was a 9/11 first responder during the attacks on the World Trade Center. In the wake of 9/11,“Amazing Grace” was the tune we heard most often at memorial services for the fallen. Judy Collins plucked this 18th-century hymn from near obscurity in the late sixties, and it has never really left our cultural consciousness since. Judy, who also composed her own anthem for 9/11 first responders called “Kingdom Come,” still believes in the power of music to heal. And I do too. Peter Robinson and Martin McGuinness have jointly praised plans for the redevelopment of the 347-acre Maze-Long Kesh prison site near Lisburn, Co. Antrim into a Peace Building and Conflict Resolution Centre. The plans include a business campus for renewable technology and life sciences linked to the universities. Maze Prison, also known as the H-Blocks, housed numerous republican and loyalist paramilitary prisoners during the Troubles and is most remembered as the site of the 1981 hunger strikes in which ten republican prisoners died, starting with Bobby Sands. Since the closing of the prison in 2000, following the terms of the 1998 Good Friday Agreement, debates had been ongoing over what to do with the site. Even now that the plans have been approved, controversy still persists. Some loyalists express concern that the site, fully funded with an £18 million European Union grant, will become a “shrine to terrorism” that would highlight the struggle of Northern Irish nationalists given its association with the hunger strikes, according to the Irish Times. Waterford twins Katie and Amy Jones-Elliott are headed to the Guinness Book of Records after they were born 87 days apart. As reported by the Irish Mirror, Maria Jones-Elliott, went into labor after four months of pregnancy but gave birth to only one of her daughters, Amy, at a slight 1 lb. 3 oz. Katie would not arrive until three months later. The Guinness Book of Records is waiting for formal confirmation of the 87 days before they can officially set the twins’ record. Until Amy and Katie, the record was held by Peggy Lynn of Danville, Pennsylvania, who gave birth to twins Eric and Hannah 84 days apart, in November 1995 and February 1996. Two weeks after an Irish jury concluded that poor medical care – including the refusal to perform an emergency abortion – led to the death of Indian dentist Savita Halappanavar in a Galway hospital in October, the Irish government proposed new legislation that will allow for abortions in situations where a woman’s life is in danger. The proposed legislation, titled the Protection of Life During Pregnancy Bill, puts into law rights that already exist in the Irish constitution as a result of the X Case Supreme Court judgment of 1992. Under the new proposals, varying levels of approval must be obtained depending on the nature of the threat to the mother’s life. One doctor would be able to authorize a termination in an emergency. In cases where a pregnant woman’s life is at risk but not imminently, two medical practitioners, one of whom must be an obstetrician or gynecologist, would need to approve the procedure. A woman citing the possibility of suicide as her reason for seeking a termination would have to obtain approval from two psychiatrists and an obstetrician. The government was prodded into action by the Council of Europe, which has urged Ireland to enact legislation to ensure that the limited rights to abortion granted by Ireland’s Supreme Court in 1992 can be carried out in practice, with clear guidelines for action. Calls for legislation came with renewed vigor after news spread that Halappanavar, who was miscarrying after 17 weeks of pregnancy, was told that doctors could not remove the fetus while it still had a heartbeat. In a press conference before the bill’s proposal, Taoiseach Enda Kenny maintained that “the law on abortion in Ireland is not being changed.” He explained that the bill restates the general prohibition on abortion, but provides necessary legislation for emergencies. Following his induction into the Irish America Hall of Fame (see more coverage here), it’s only fitting that Vice President Joe Biden should pay a visit to the home of his Finnegan and Blewitt ancestors. According to the Irish Independent, the trip is being planned for August. Biden will likely be bringing his grandchildren, and the family may stay in Ireland as long as a week. Dublin and Mayo, where the vice president’s Blewitt ancestors lived, are said to already be part of the itinerary, and Co. Louth, home of his Finnegan line, is also under consideration. Ireland may receive visitors from the White House even earlier in the summer. The Irish Times reports that plans are in the works for First Lady Michelle Obama to travel to Ireland with her daughters on June 17 and 18 while the president attends the G8 summit of world leaders across the border at Lough Erne in Co. Fermanagh. Dublin and Moneygall, Co. Offaly, birthplace of the president’s ancestor Falmouth Kearney, will be likely stops on their tour. Gabrielle Giffords, the former Arizona congresswoman who survived a deadly mass shooting in January 2011, was honored with the John F. Kennedy Profile in Courage award on May 5, at the John F. Kennedy Library in Boston. Since resigning from Congress to focus on her recovery, Giffords has become a leading voice in the charge for gun control. She and her husband, former space shuttle commander Mark Kelly, are the founders of the political action committee Americans for Responsible Solutions. The award, named for President Kennedy’s 1957 Pulitzer Prize-winning book Profiles in Courage, has been given annually since 1990. Caroline Kennedy, who is president of the Kennedy Library Foundation, presented Giffords with the award. She spoke of the pain that gun violence has brought to so many families, including her own with the assassinations of her father and her uncle Robert Kennedy. “Our family is still suffering from the heartbreak of gun violence. No one should have to lose a husband, a wife, a father, a child to senseless murder,” she said. “But as [Gabrielle Giffords] has shown, out of that pain and tragedy, we must find the strength to carry on, to give meaning to our lives, and to build a more just and peaceful world. Kelly helped Giffords, who is still recovering from her injuries, accept the award. Earlier in the day, Giffords and Kelly spent time with victims of the Boston Marathon bombings at Spaulding Rehab-ilitation Center. On June 10, at 8:30 p.m. (EST) readers in the tri-state area will be treated to a half-hour of veteran newspaper columnist and novelist Jimmy Breslin on what it means to be Irish, what makes him write, the responsibilities of a journalist, fiction vs. journalism, and preferring criminals to politicians. 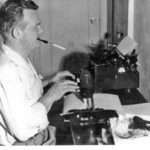 The half hour with Breslin is a preview of the highly anticipated Irish Writers in America series by CUNY TV, the television station of the City University of New York. The series, currently in post-production, will feature 23 Irish and Irish American authors, including John Banville, Billy Collins, Roddy Doyle, Anne Enright, Pete Hamill, William Kennedy, Dennis Lehane, Colum McCann, Alice McDermott, Edna O’Brien and more. The preview will also feature interviews with novelist Colm Tóibín, who was just nominated for a Tony Award for the Broadway adaptation of his novella The Testament of Mary. To watch, tune in to CUNY’s broadcast Channel, 25.3. Or, for viewers in New York City, Channel 75. Irish Writers in America – Jimmy Breslin and Colm Tóibín will be repeated during daytime broadcasts throughout the week of June 10. Visit www.cuny.tv for more information. In late April, Tourism Ireland announced that Alison Metcalfe, who is currently the U.S. vice president of marketing, will replace the long-serving Joe Byrne as head of Tourism Ireland North America on June 1. Prior to joining Tourism Ireland, Metcalfe worked with VisitBritain (formerly BTA) in London, Portugal and Toronto. North America is the island of Ireland’s second-largest tourism market, with close to one million visitors traveling to Ireland in 2012, generating $1 billion in revenue. A memorial for the 159 Irish people who died during the Korean War was unveiled at the War Memorial of Korea in Seoul on April 25. The unveiling was part of the larger Revisit Korea program, which brought 11 Irish veterans, family members of those who served, and active soldiers from the Royal Irish Regiment to Seoul for the 60th anniversary of the Armistice Agreement, which ended the war. The Irish Association of Korea, with the Embassy of Ireland, the Somme Association and the Royal Ulster Rifles Association, organized the service to honor the Irish soldiers who fought between 1950 and 1953. There were 159 Irish casualties throughout the course of the war, as a number of Irishmen fought with British and UN forces. Seven Irish Columban priests and an Anglican nun, Sister Mary Clare Witty, also died during the conflict. The greatest number of Irish fatalities took place during the January 1951 Battle of Happy Valley, in which the Royal Ulster Rifles, which included many Irish, played a key role as Seoul’s last defense against the North Korean and Chinese forces. The new memorial replaces an earlier Memorial Pillar, which was carved by a Korean Mason in 1951, and given to Belfast in 1962 as a gesture of thanks. To this day it stands in the grounds of Belfast’s City Hall.